Yes, it is possible to anticipate and avoid business disputes. It is common for business “breakups” to happen. Sometimes an internal buy-out works. Sometimes a third party is needed to facilitate the purchase. Bottom line, even receivership or dissolution could become a necessity. You need to know your rights and responsibilities when other business owners come into play. You need to figure out if it is easier to walk away, push for damages, and/or fight for control. At what costs? If you are selling, reformulating, and/or dissolving a business. Officially or not, it is crucial to work with a skilled business law attorney in Philadelphia. Don’t be the poster child for the dangers of indifference. Since 1978, the Olen Law Office has provided legal advice and representation to business owners seeking to save, reconfigure and, if need be, break up an organization. When there are no pre-existing agreements detailing the process for a business divorce, or they are not followed, the dissolution can become particularly emotional and contentious. It is our goal to fully assess the situation, and formulate specifically tailored strategies that move clients toward a successful resolution consistent with their needs. Contact a Bucks County business dissolution attorney at our firm today to schedule a consultation. Shareholder, member, partner, or other ownership composition, and rights/responsibilities. 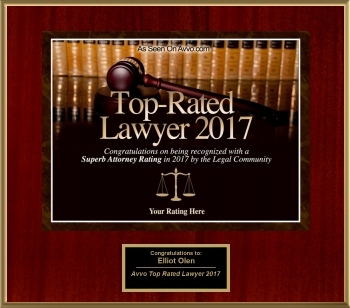 Whether you’re in need of mediation, arbitration, negotiation, or statutory litigation, Attorney Elliot Mark Olen will aggressively fight to protect your best interests. As an accomplished, seasoned, litigation attorney, Mr. Olen understands the importance of objective cost-benefit analysis. Never expect to be successful making a demand or threat you will not follow through with; that shows weakness. Never fire the first shot without a clear plan for the next and succeeding stages. Always be prepared to prove you have a winning case, by thorough preparation and attention to detail. If you need a skilled business law attorney in Philadelphia, especially for disputes in or involving Bucks County companies and incidents, do not hesitate to contact our firm. After listening to the facts of your case, we can provide a realistic assessment of your situation, including the potential legal obstacles. If you have further questions regarding business divorce and ownership disputes, we encourage you to schedule a consultation at the Olen Law Office. We can be reached by calling 215-943-5343 or by completing our online contact form. To better suit your needs, we are able to conduct business online and we accept all major credit cards.